Use FME to overcome the challenges associated with integrating CouchDB databases and other cloud-based and on-premises applications. Whether you’re migrating data from several different sources into this big data storage system, or collecting data in real-time from web services, FME’s data conversion and automation capabilities allow you to accomplish these tasks efficiently, and without writing any code. FME is data conversion and integration technology that enables you to connect CouchDB with other applications by moving data into and out of JSON, the CouchDB storage format. Using its intuitive graphical interface easily create workflows without coding that transform data between JSON and hundreds of other formats and applications including XML, CSV, Excel, SQL Server, Oracle and many more. 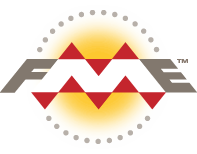 And unlike online format converters, FME has a library of tools for manipulating data’s contents and structure so it fits any system’s data model. Working with JSON is a large component of CouchDB integration. In addition to its native support for JSON reading and writing, FME has tools that allow you to execute more complex manipulations. For instance, you can parse documents into their components, extract subsets of data, edit contents, validate syntax and create JSON that is structured exactly how you need. FME provides solutions for keeping CouchDB databases up to date with the constantly evolving nature of data collected by web services and mobile applications. By deploying FME technology with FME Server or FME Cloud, CouchDB data conversion and migration workflows can be automated through capabilities like scheduling and real-time data processing. Download a free 30-day trial and see how easy it is to automate CouchDB data migration tasks and connect to other applications with FME. Apache CouchDB is open source NoSQL database software that features performance, reliability and seamless integration with web and mobile applications. FME lets you integrate many applications and file formats. Here are some of the ways our users convert CouchDB. The table below outlines how CouchDB is supported by our different FME products, and on which platform(s) the reader and/or writer runs.